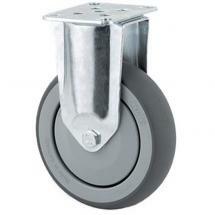 Tente’s robust castors are not only found under flight cases, but also in medical and industrial environments and logistics. This is hardly a coincidence. 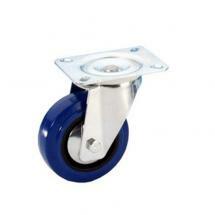 Tente castors come in various shapes and can be used for many different purposes. 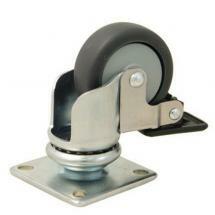 In fact, Tente castors are the standard wheels for most flight cases. 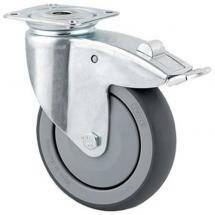 Tente castors will help you road proof nearly anything, simply by making it roll! 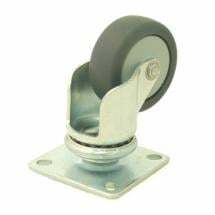 This castor is ideal for supporting your cases or DJ equipment due to its handy mounting plate. 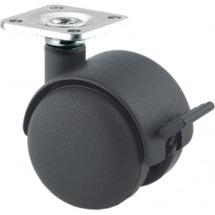 The generous height of 100mm ensures that curbs and bumps will not be an obstacle for you. 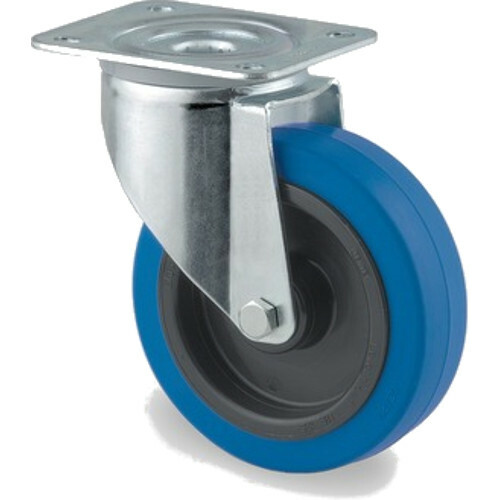 The 34mm wide wheel is fashioned from durable black rubber and the carrying capacity for each castor is 160 kilos. The building height is only 128mm, which is very moderate considering the size of the wheel. 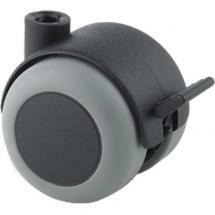 Ideally you can use two fixed castors in combination with two Tente swivel castors.